Limner is the perfect tool if you want to draw naturally on your Mac, whether you are an artist or you simply want to sketch something quickly. Trying to draw with your mouse or trackpad is clumsy and inaccurate, but buying a graphics tablet can cost hundreds or thousands of dollars. 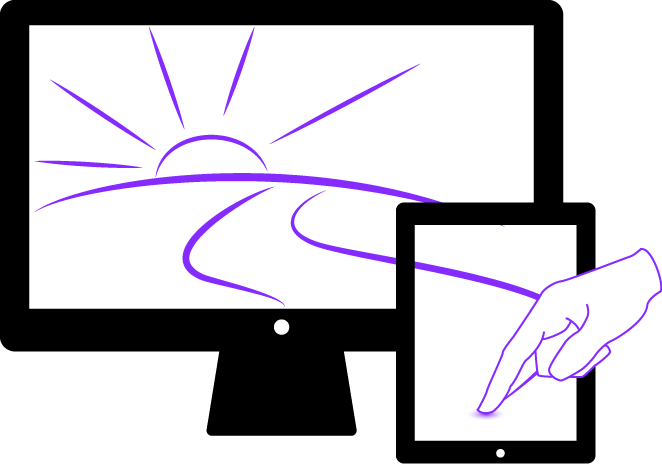 With Limner, you can connect your iPad to your Mac and use the touch-sensitive display to make beautiful drawings. Limner for iPad is available from the App Store. To allow Limner to connect to your computer, download Limner Connect on your Mac. Limner turns your iPad into a pressure-sensitive graphics tablet for your Mac. 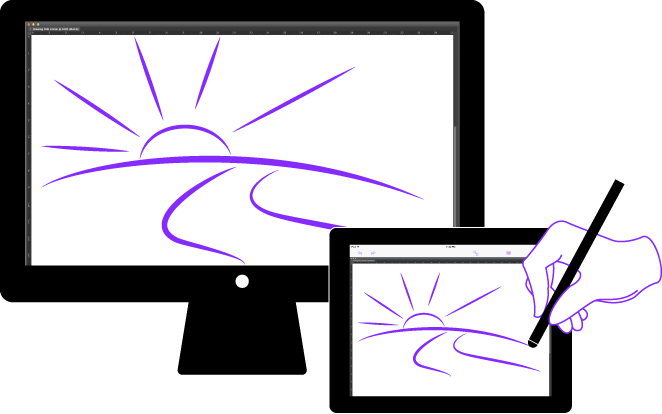 When you run a drawing program on your Mac that supports input from pressure-sensitive tablets – for example, Adobe® Photoshop® – you can draw brush strokes from your iPad that vary in line width or opacity. Limner effectively turns your iPad into a pressure-sensitive, touch-screen external monitor for your Mac, so you also can control your Mac from your iPad. Touch your iPad screen to click and drag the mouse on your Mac. 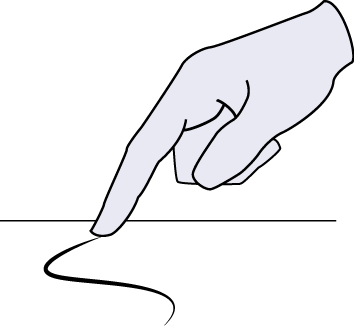 Pressure sensitivity is determined by how much of your finger is touching the screen, not by how hard you press. For the lightest pressure, draw with the very tip of your finger. 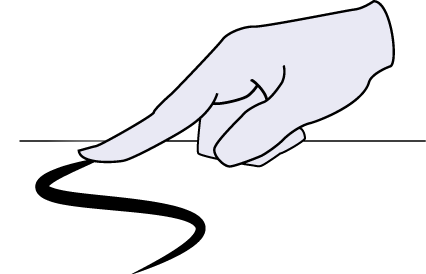 For the maximum pressure, press with the entire flat part of your finger, up to the first joint. Draw using a pressure-sensitive Bluetooth stylus. Draw with any other iPad stylus without pressure sensitivity. Use your iPad like a hardware graphics tablet, with pen, eraser, and hover support. Type on your Mac using your iPad’s keyboard. iPad running iOS 7 or later. iPad 3 or later or iPad mini for Bluetooth stylus support. Macintosh computer running OS X 10.7 Lion or later. Install a separate app, Limner Connect (download), on your Mac to allow your iPad to connect to your computer. Screen Sharing enabled on your Mac to allow your iPad to view your computer’s screen. Mac and iPad need to be on the same local wireless network. © 2015 Putchamin, LLC. All rights reserved. Apple, the Apple logo, iPad, Mac, Macintosh, and OS X are trademarks of Apple Inc., registered in the U.S. and other countries. App Store is a service mark of Apple Inc. Adobe® Photoshop® are either registered trademarks or trademarks of Adobe Systems Incorporated in the United States and/or other countries.